TMP Refining has a wide variety of Precious Metal Catalysts for the destruction of VOC, HAP, and CO emssions. 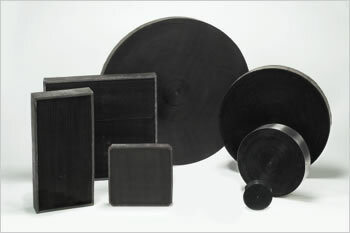 TMP Refining offers ceramic monolith, metal foil monolith, and ceramic bead catalysts to fit any system's unique design. Contact TMP Refining to gain insightful knowledge of how to maximize catalyst performance in your application. Installation of Precious Metal Catalyst Monolith or Beads available upon request! All Precious Metal Catalyst are sold with a performace warrenty. - TMP Refining offers custom designed turnkey skid-mounted deoxygenation systems. - Many gas fields around the world are contaminated with oxygen. TMP Refining's deoxygenation system reduces oxygen concentration in your natural gas stream to be below 5ppm. TMP Refining offers a comprehensive catalyst replacement service for Deoxygenation systems. TMP Refinging will manufacture and cut catalyst to meet the dimensions of any vessel in operation. TMP Refining will provide a credit for the old, spent catalyst being removed and replaced. TMP Refining has experienced field technicians that will complete the removal and installation of the catalyst ensuring minimal downtime.